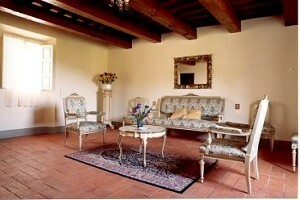 The farmhouse (9 beds) is situated in Carmignano, not far from the Medicean villas of Artimino and Poggio a Caiano. The farmhouse was built in the 18th century. 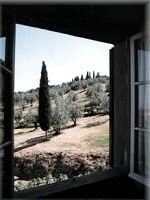 Four hectares of olive groves and orchards surround the building. 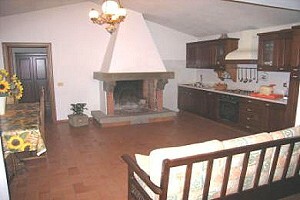 The guests can dispose of the local production of extra-virgin olive oil, vegetables and fruit. 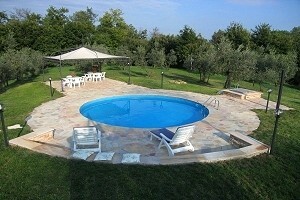 The guests have the exclusive use of the round swimming pool. The farmhouse has a terrace equipped with a barbecue and a covered verandah, both provided with a lighting system. On demand, a cot can be put in any of the bedrooms. Two bicycles are at the guests` disposal. Many feasts and events are organized in the neighbourhood. 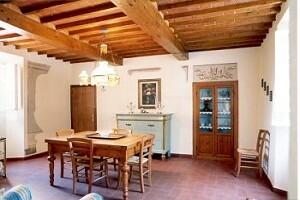 The farmhouse is only 18 km off the historical center of Florence. 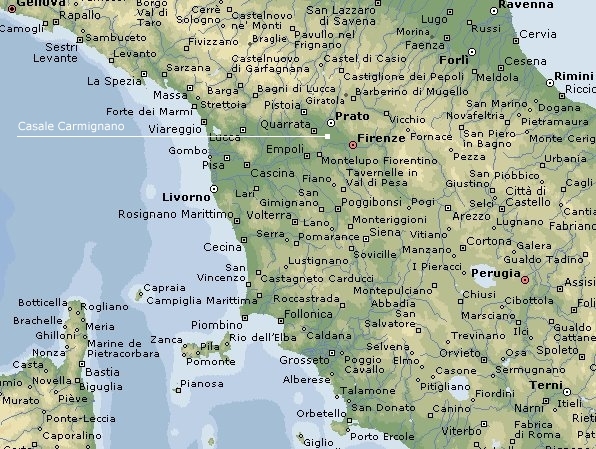 Prato, Pistoia and Vinci, with the house and museum of Leonardo, are easily reachable from the farmhouse. The farmhouse (4 bedrooms and 4 bathrooms) is a three-storey building. 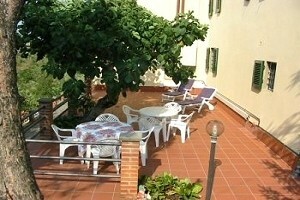 On the ground floor there are a fully equipped kitchen, a dining room and a laundry. On the first floor there are 3 double bedrooms with private bathrooms with shower and 2 living rooms (1 of them featuring a hearth, a kitchenette and a sofa bed for two). 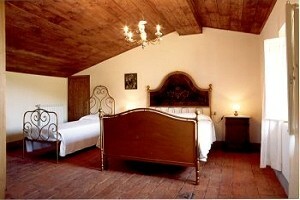 On the second floor there are a bedroom with a double and a single bed and a bathroom with shower.